If you’re considering a new webpage design, you’ve undoubtedly seen the terms “SEO” and “optimization.” Optimizing search engine results is the goal of any business plan service with an online presence. If you’re new to webpage design, optimization might sound incredibly complicated, but it’s not too hard to understand the basics. The term “SEO” stands for Search Engine Optimization and is often shortened to just optimization. Search engines, like Google or Yahoo, prioritize results based on a variety of metrics and algorithms. The exact algorithms that power a site like Google are proprietary, but the essential ways in which they work are well-known. The purpose of SEO is not just appearing in search engine results but appearing high on the list. Most people who use a search engine will never click past the first page of results, so the goal is getting to the top of the pile. When it comes to optimization, every website, no matter how big they are, plays the same game. To gain a higher place in the search results, a page needs, among other techniques, on-page optimization, inbound links, directory references, and social media platforms. On-page optimization refers to keywords on your webpage that the search engine can latch onto. We will go into keywords a little bit more down below, but the important thing to understand is that keywords are essentially the bait at the end of your fishing line. The better the bait, the more nibbles you’ll get. Inbound links are links to your page from other websites. 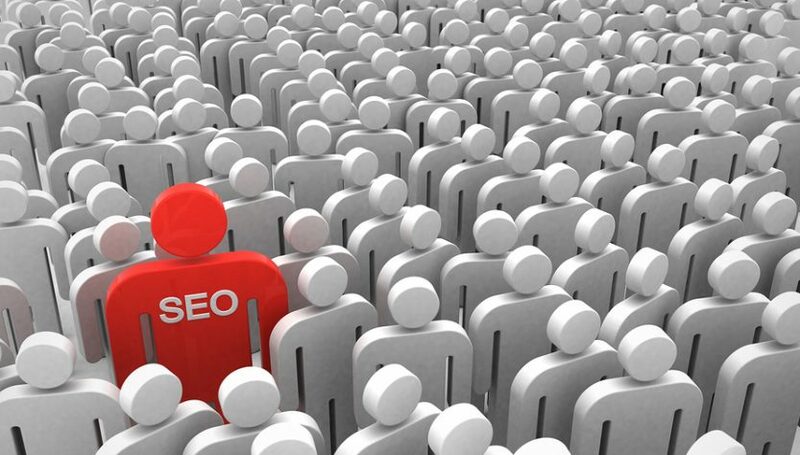 Such links give your site legitimacy in the eyes of search engine algorithms. Directory references are essentially the Yellow Pages for the internet age, while social media pages help build a following. Together, they tell the search engine that you’re the real deal. If you have used Google or another search engine, you know that the top results are almost always a major company or popular webpage. Either Wikipedia or Amazon will be in the first results of 90% of most common search terms. As the owner of a small business or a new website, you might be concerned about competing with the behemoths. If you want to stand out from the crowd, and you don’t have the resources of Amazon, you need to focus on local search optimization. As “local” suggests, this concept is about optimizing searches for specific geographic regions. If you have a business in Michigan, for instance, your concern isn’t web surfers in Spain. You want to reach customers in your town. The basic techniques for improved SEO involve using keywords related to the products or services you offer. These include a couple words or a phrase related to a specific concern or problem. If you’re a plumber, for instance, your website should include as many plumbing-related keywords as possible. The problem for you, the hypothetical plumber, though, is that most plumbing keywords will bring up companies like Home Depot. You can’t hope to compete on that level, so you need to think local. Someone searching for a plumber wants local results, and that’s where you can beat the giants. Utilizing local search optimization means including specific geographic information. Provide your exact address to Google so that it can accurately determine your distance from the user. Also, always include your area code with your phone number, so the search engine establishes you in your area. If your site has a blog or landing pages (and it really should) be sure to reference your town and state in each entry. That will ensure that a search for a plumber in your hometown will prioritize your page. Remember, optimization is a business’ best friend. Embrace all it can do for you and include it at every stage of your webpage design. To take full advantage of optimization and all the related techniques, hire a professional designer who can help you plant your flag on the first page of every search engine.